It's not only JAMB that is using computer to test candidates seeking admission into various universities, polytechnics and colleges of education across the country, companies are using the same medium to test their prospective employees. This has been for a while and with all indications, it’s here to stay. UTME applicants are not exempted from their proposed schools entrance exams too. Most institutions conducting post UTME adopt CBT as well. Recommended: Post UTME: Will it be Exams or Admission Screening? And now that everybody is aware of this, they are set to giving to it. Yet, they must be trained for this. In fact, being computer literate may not be enough to pass Compute based exams. Familiarizing yourself with the environment or practical scenarios is important. This is why JAMB initiated mock exams to prepare candidates for the real CBT environment. To learn using computer to write exams, trainings are available around our local towns, yet students have to pay between #2000 to #5000 to get themselves set for what is ahead. Obviously, some candidates will want to save money. Hence, there is need to see if you it’s possible to learn this on your own. Lucky, it’s possible to learn handling CBT all by yourself. With the help of this guide, you should be ready to face any CBT now and in the future to come. Let’s get some points understood about those items needed. CBT is conducted with a desktop or laptop computer. And because you’re preparing for one, you don’t have to look around for both laptop and desktop for this self-help training. You only need one. I recommend a laptop though. Why? Getting into the exams room, you may just be presented with a laptop instead of desktop. If you’d learnt with desktop, you may not be able to use the touchpad – since laptop doesn’t use that. Yet, if you practice with laptop, you may not be used to a mouse which a desktop uses. This is why you should get the next item handy with even with your laptop- mouse. If you get a laptop, that already has a touchpad. Yet, you need to get a mouse with your laptop. 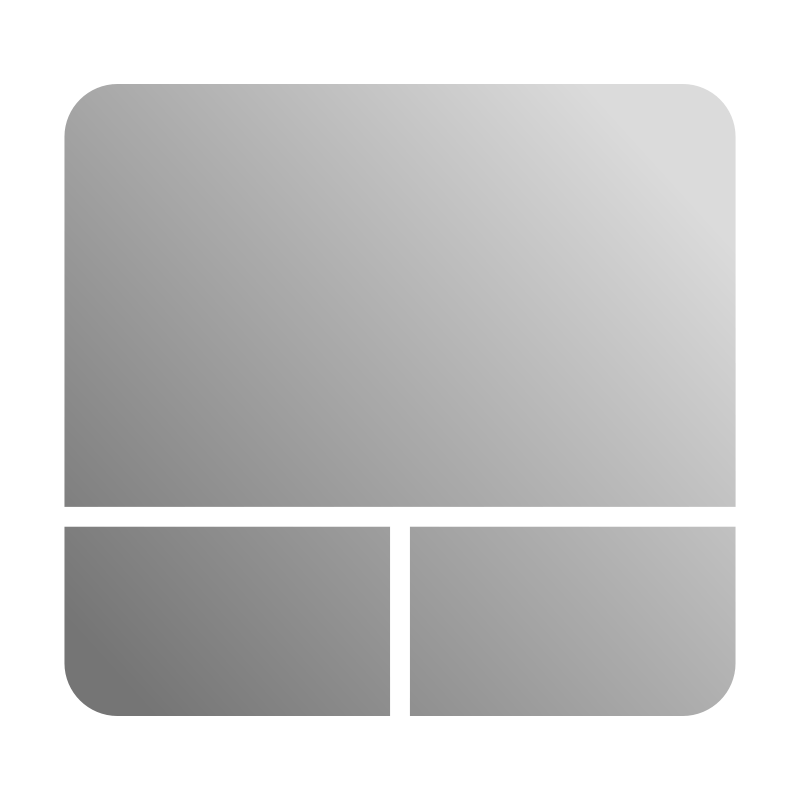 In this case, you will be able to use both the touchpad and mouse to practice. Therefore, if you’re presented with a desktop, you’re on and if a laptop, you’re save. Whether you use a laptop or desktop, you’re sure to have a keyboard attached. In a CBT test, you could need the keyboard to enter your applicant number, form number or registration number as the case might be. That could be all you would need your keyboard for especially if the questions are multiple tests. Keyboard may be more needed if you have to do more than that such as typing a report or so. Lucky in the UTME, you ONLY need the keyboard to enter you UTME/JAMB registration number before you can start your exams. A JAMB or other exams CBT software is available online. You can download some free and use them free. Though the free version may be limited to a few weeks or number of users, yet you will be allowed to practice with them. If you must gain access to more resources like more questions, you may have to pay for the access keys or registration license, which don’t cost much. You can do your search online for some of this software. If you can’t afford to buy or download any software as earlier mentioned, you can just practice live online. This will require you to get your computer connected to the INTERNET before you can use such online platforms. Using paid software doesn’t require internet to use. If you choose this method, I recommend Simbibot. This is an online resourceful platform where you have access to questions on several subjects/topics to practice with. Now that we have all the above handy, let’s dive into how to use our mouse and keyboard. This is your keyboard. What will you need it for? To enter your registration number or candidate's identification number. In the case of UTME, JAMB registration number. Hence, the few keys you should master here are 1 to 0 keys (these are called numeric keys) and the two alphabets at the front of your registration number. Once, you enter your UTME registration number, hit enter key on the keyboard or click on "Log in or Enter to Start Exams"
If you make a mistake while entering your registration umber, use the backspace key to delete the error entries and enter the right ones. The next page that displays after logging in to start the exams is the instructions page. You will be welcomed with a quick guide on how the questions are set, how you're expected to answer them, duration you need to use for the test and procedure for the final submission. You should quickly go through this. The time being used to read instructions is not part of the time given for your test. You can take your time to digest the instructions unless the centre insists all candidates must start at the same time. After reading the instructions, click start the test/exams on the screen to proceed. As earlier said, your questions will be multiple choice in UTME. Multiple choice questions contains (A, B, C, D, E). This is where you will need to use your mouse or touchpad mostly. It contains two buttons and a scroll wheel. The buttons are right and left. The scroll wheel sits at the centre. You won't need the right button for your UTME. The scroll wheel can move your page up and down. 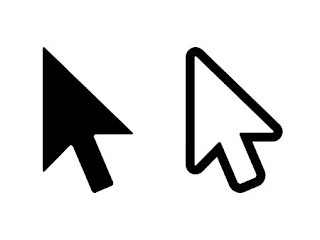 The left-button is your main weapon here.That's what you click to pick the correct answers. 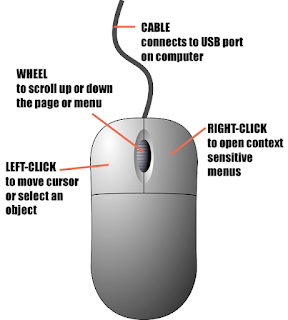 Below your mouse is a ball or laser light that will let your cursor move to where you want it on the page when you move the mouse around the desk/table surface. When ready to choose your answers, move the mouse a bit on your desk until your cursor get to the hole beside the answer. Left-click inside that hole with your left button. When a bullet appears inside in the hole you clicked, it means your answer has been selected. If you wish to change the answer, move the cursor to your new option and click. This time, the bullet will leave the old answer's hole and appear in the new choice. There are no major difference here too. The touch-pad sits right at the centre of the edge of your keyboard (in laptops). It has two buttons too plus the track space (which represents the scroll wheel). You move you index or middle finger on the track space to move cursor around the screen. As earlier said, you only need the left button to choose the correct answer and track space to move page up and down if need be. More so, the track space can also be hit/clicked to select answer. After answering one question, you move to the next one by clicking on "Next"
When a question is answered, computer will make it appear bold. If you find a difficult question, you can skip that by hitting "Next" too. Then, you can come back to that later. If a question is skipped, computer will indicate that by making the number look faintly instead of bold when answered. As soon as you click on start Exams, your time starts counting down. When your time is up, you will be automatically logged out even if you've not completed your test.